A major milestone has been reached for Total E&P UK’s huge Culzean gas field in the North Sea. Topsides were installed this weekend at the field by the world’s largest operating heavy lift vessel, Heerema Marine Contractors’ SSCV Thailf. 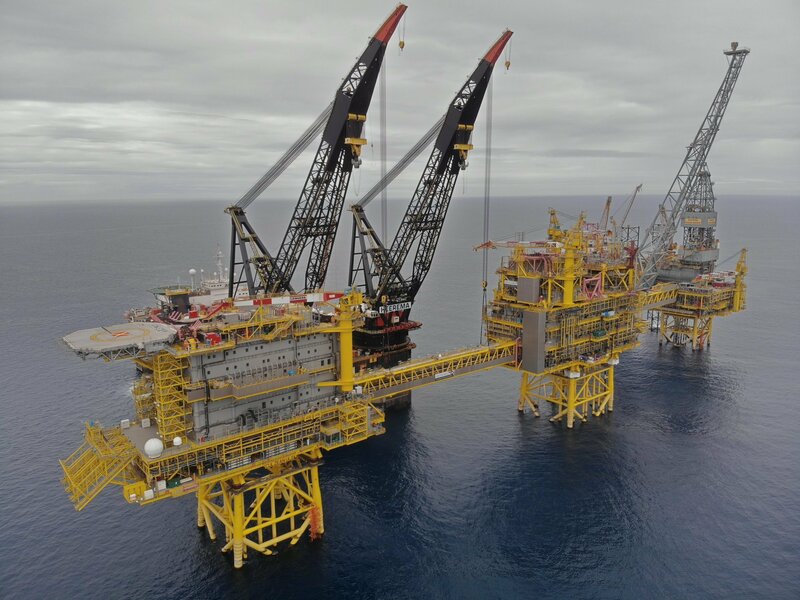 Total said the topsides, weighing nearly 30,000 tonnes, were put in place ahead of schedule. Culzean lies around 145miles east of Aberdeen and is expected to deliver up to 5% of total UK gas supply at peak production in 2020. First gas is expected next summer, with around 650 people to be working in the field during the hook-up phase. Work on the topsides began in 2015, taking 33 months to complete. Culzean project director, Claus Vissing-Jørgensen, said: “This is a fantastic achievement and it marks a very important milestone for Total E&P UK towards first gas from Culzean. “We still have a couple of days of ancillary completion works prior to the arrival of the Flotel Victory later this month which will mark the commencement of the offshore hook-up activities. The topsides for Culzean were sent off from a shipyard near Singapore in May, followed by the Ailsa floating storage and offloading (FSO) vessel the following month. The FSO is capable of storing up to 430,000 barrels of condensate at a time. Meanwhile the French energy giant is understood to be positioning itself for a £1.1billion sale of UK North Sea assets.